KCC Engineering and Contracting Company is one of the group companies that are majorly owned by the Arabian Gulf Holding Company. 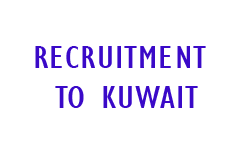 It was established in 1967 as an Engineering, Contracting and Trading Company in Kuwait. Abdul Aziz M.T. Alghanim, who was one of the main founders of KCC, is the Chairman and Ali Al Alamy, the Managing Director was one of the first employees who joined the company. KCC began operations as a supplier of process instrumentation equipment and its main client was the KOC. The market's growth was intensive and new services were in demand: therefore KCC added installation, testing and commissioning services to its operations. This enabled it to become a leading specialist contractor in industrial instrumentation and control systems. As technology developed and industrial control systems became more complex KCC expanded its operations to include telemetry systems, telecommunication equipment, electrical distribution equipment and HVAC automation systems. Candidates should have experience 5 - 10 years in Oil and Gas field.